Humans buy dogs for many reasons usually because we want companionship and a dog will love unconditionally. Anybody who has ever owned a dog can tell you that they are called man’s best friend for reason and dogs often become part of our family. When man’s best friend suddenly begins to misbehave and exhibit bad behavior that they have not exhibited in the past, it can be like raising a problem child. You love the dog, but they are driving you up the wall. Sadly, behavior problems are a common reason that people give up their pets but there is another way! With some simple and easy-to-do home training methods, you can re-train you faithful and loved four-legged family member back into his good habits. 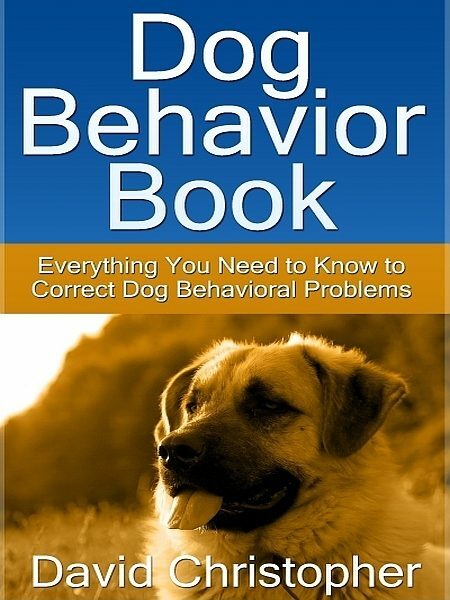 It does not matter if you have brought a new dog home that has misbehaved from day one, or if you long-time canine companion has suddenly started a new and unwanted behavior, this book will help. Otros ebooks de David Christopher.